What I've Been Reading: Bossypants | emma etc. Hey everyone, I guessed it was time I put out a decent post in these neck of the woods. I really like reading if you didn't know, one of my favourite things to do on a weekend is read an entire book (although life lately certainly hasn't allowed me the freedom of this). 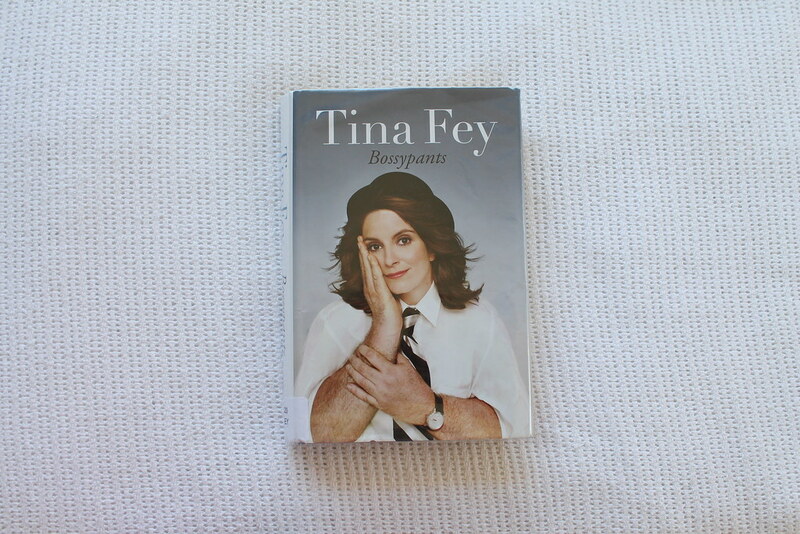 But today I decided to sit down and write my thoughts on Tina Fey's Bossypants, the latest book I've got my hands on. Before reading this, I only knew Tina Fey from Mean Girls, which I'm sure is the case for quite a few other people. But this book did not mention one bit about Mean Girls, so I'm left sitting here like a fool. Cutting to the chase, I enjoyed this book very much. It deals with many issues surrounding women and as well as her knack of being very funny, I found myself coming away from this book with my fair share of 'life advice' or words of wisdom from the lady herself. I loved reading about her childhood and how she broke into the comedy industry, it really shows how you've got to get through the hard yards first before you gain any sort of success in the way Tina Fey has. I think she is an incredible women, and in no point in the book did I think 'eh, whatever - she's not that great', 'she seems fake' - she's a real women and it's amusing to read her internal dialogue on things like her photo shoots. She really is great and I did manage to laugh out loud while reading which is a big plus in my books (unintentional pun alert - I promise I'm not trying to be funny.) The book is basically about her life, in a non-traditional biography way. I'd recommend it to anyone really, who likes easy reads and feels like a bit of a chuckle.